Anatomy is a science that learns about chronology of anatomical problems ranging from examination of offering sacrifice in the ancient time to the complex analysis of body parts by the modern scientists. In the later development, human are able to understand the body structure and function through anatomy. Method of examination is always growing, from examination to the animal, cadaver dissection to the complex techniques that has developed in the last century. This period was begun at least the beginning of 1600 BC, known from the finding of papyrus paper by the scientist of ancient Egypt. During that time, some organs and basic knowledge regarding blood vessels were understood. Hippocrates was a medical scientist from ancient Greek whose works are still recognize up to this point of time. He was a physician during the last years of 6th century BC or early years of 5th century BC. Hippocrates understood about basic science regarding musculoskeletal and kidney. However, many of his works only based on speculation, not through scientific research. In the 4th century BC, Aristotle started better research regarding body system through dissection of animals. He was successful to distinguish between vein and artery as well as understand about organ relationship more accurately. The use of human dead body for anatomy began at 4th century BC, when Herophilus and Erasistratus showed cadaver dissection in Iskandariya with the help of Ptolemy dynasty. Herophilus was the first to develop anatomy based on original structure of human body. Another important scientist in the ancient anatomy was Galen (2nd century). He collected knowledge from earlier scientist and understood more about organ function by doing living dissection to the animal. There are a lot of his anatomy drawing collections, based on dog’s anatomy that considered as the “Gray’s Anatomy” of ancient world for at least 1500 years. Most of his original works were lost and only known to the renaissance doctors. Because of religion prohibition to dissect living human, Galen assumed that human anatomy is equivalent to dog anatomy. Only little advancement of anatomy happened after the end of Rome Empire. The Arabian scientists contributed for other fields of study, but not for anatomy due to various prohibitions. After Galen’s period, there was anatomy development in Bologna during the 14th to the 16th century. Scientists learnt more about things that they could found in the cadaver. At last, they understood more about functions of body organs. Famous anatomist during this period was Mondine de Liuzzi and Alessandro Achillini. In the 16th century, Vesalius published his anatomical drawing based on his trip from Leuven to Padua by dissecting body of hung prisoners. He was successful to prove big differences in human and dog anatomy (Galen’s drawing). Scientist in the 16th and 17th century were able to understand about circulatory system, invention of valves in the vein, blood flow from left to right heart ventricles and hepatic portal vein that identified different with other circulation systems. 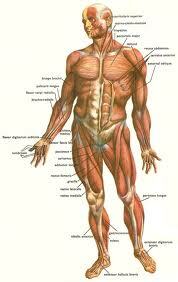 The lymphatic system was also found. Anatomy was in the golden period during 17th and 18th century. With the presence of publisher, idea exchange could be easily done through the Europe. Afterwards, anatomy concentrated on the research and drawing. The popularity of an anatomist was equivalent to the quality of drawing, rather than proficiency of Latin language. Many famous artists, including Michelangelo and Rembrandt, also learnt about anatomy, undertook dissection and published their drawing for money. For the first time, leading university opened anatomy subject through drawing. However, obstacles often came from the Church. Although this is a golden period for the scientist, but it was also dangerous time, like what Galileo Galilee experienced. Some scientists were afraid to make a move, such as Descartes. Although all physicians agreed that anatomy would support the development of medicine, only few licensed anatomists were able to do dissection. Dissection was usually supported by the city council and some amount of money had to be paid. Many cities in Europe including Amsterdam, London, Copenhagen, Padua and Paris have their own Royal Anatomist who is affiliated to the local government. Although dissection was a difficult thing to do, but presence in a dissection session was a legal action. This made many anatomy students travelled throughout the Europe. Many European people, who were interested in anatomy, went to Italy as the educational center of anatomy. Only in Italia, several important research were conducted, such as dissection in female body. Realdo Colombo and Gabriele Falloppio were the students of Vesalius (anatomist from 16th century). Colombo, who at the end became professor in Rome, did many development in bone anatomy, refinement of facts about shape and rooms of the hart, pulmonary artery, aorta and their valves, new drawing of brain and its vascularization, rectification about inner ears and laryngs. In the 19th century, there were many scientists who demonstrated deeper drawing of anatomy. In addition, micro anatomy, which is histology, were started to be developed. Research of anatomy grew everywhere with England as the center. Demand of cadaver was increasing. Thus, many solutions were performed, including killing people. Seeing those awful occurrences, the England Parliament issued Act of Anatomy in 1832, which indicated law guidance for cadaver preparation. This issuance had commenced the making of the most famous anatomy textbook, Gray’s Anatomy. Anatomy research in hundreds year ago had helped the development of modern science such as molecular biology. Various developments also happened in the smart modalities to understand living human body, which are MRI and CAT imaging. Government of Indonesia issued Government Regulation regarding Clinical Dissection of Cadaver and Anatomical Dissection of Cadaver as well as Transplantation of equipment or culture to the human body in 1981 (Peraturan Pemerintah Tentang Bedah Mayat Klinis dan Bedah Mayat Anatomis serta Transplantasi Alat dan atau Jaringan Tubuh Manusia tahun 1981). This was to honor and appreciate cadaver as remnant of human. The clinical dissection of cadaver means autopsy that is done to know the cause of death of a patient or in criminal scene and obtain necessary knowledge. Anatomical dissection of cadaver is cadaver dissection for educational purposes. Vision: To be an active, dynamic, and cooperative part of FKUI management in running the undergraduate program, master program, research and public service. To increase the quality of medical anatomy education and widen the research of macro and micro anatomy as well as applied anatomy.